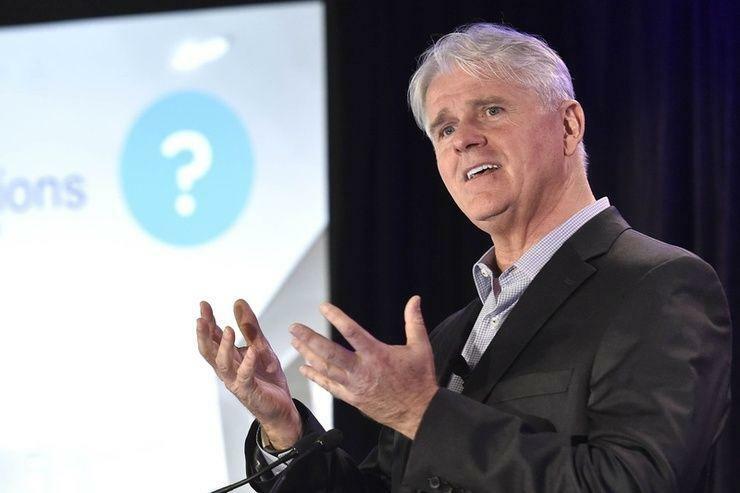 NBN Co chief executive officer, Bill Morrow, will step down from his role heading up the company behind the rollout of the national broadband network (NBN) by the end of the year. Morrow told the board and the Federal Government of his intentions to depart after more than four years at the helm, with plans to leave at the end of 2018. Over the next nine months, NBN Co will conduct an extensive search Morrow's replacement. “The country has been fortunate to have Bill lead this extraordinary project. While we will be sorry to see him leave, Bill has built a resilient, performance-driven organisation which will build on his legacy,” NBN Co chairman, Ziggy Switkowski, added. In a letter to NBN Co staff, Morrow said that it is, "with a heavy heart that I write to tell you that I have decided to leave [NBN Co] to pursue the next chapter of my career". Morrow also conceded that his tenure heading up the nation's broadband network builder has had its challenges, but that the company had come a long way since he took the reins. "At times my role at [NBN Co] has been challenging, relentless, and yes, sometimes frustrating but never has there been a time that I wasn’t proud to be a part of the [NBN Co] team," Morrow said. "Your board and executive committee is a world class team of people who will champion the cause for as long as [NBN Co] exists. "We operate in a way that is greater than any one individual and because of this, I have no doubt about your ongoing success for years to come," he said. Indeed, the company has come under heavy scrutiny by the public and other stakeholders over the course of its build under Morrow's guidance. Some of the challenges that have been faced by Morrow include issues around NBN service speeds and problems with various elements of the Government's preferred multi-technology mix (MTM) which, most notably, led to the temporary pause of all new hybrid fibre-coaxial (HFC) network services. Regardless, Morrow noted in his letter to staff that, during his tenure, NBN Co has experienced 14 consecutive quarters of exceeding its targets, advancing the network access from 500,000 to 6.5 million homes, and growing annualised revenue from $60 million to $2 billion. "These are fabulous measures of your success, but what raises the goose bumps is knowing who you are, how you work together, and what you stand for," he said. Given that there is still another nine months before Morrow expects to officially leave his post, he asked NBN Co staff for their continuing support in three core areas. These included improving the customer experience for the touch points NBN Co controls, advancing the build of the network and finding ways to keep the company's costs down so it can keep its services affordable for everyone. "When the time is right, I would like to see you for a proper farewell but for now it is business as usual as we press on toward our goal of eight million happy homes by the year 2020," he said. Morrow was appointed as NBN Co's CEO in April 2014, following the 2013 Federal Election, replacing Mike Quigley, who was CEO at the time. Prior to taking on the top job, Morrow spent 12 years with Vodafone and was, on and off, the CEO of Vodafone Australia (2012-2014) before joining NBN Co. He began his tenure with Vodafone in 1996 until 2006, where he finished up as Vodafone Europe CEO. He then spent two years as the CEO for Pacific Gas and Electric Company before rejoining the telco industry as the CEO of US-based telecommunications provider, Clearwire, from 2009 to 2011. Morrow has endured almost continuous scrutiny during time as the NBN Co CEO, starting off in July 2014, when he faced questioning from former Senator, Stephen Conroy, at the time at a Senate Select Committee, fending off claims that his staff aided in politicising the rollout of the NBN. Morrow delivered its first corporate plan in August 2015, revealing a building cost blowout that saw it jump to a range of $46 billion to $56 billion -- up from the predicted $41 billion. At the time, some of the sensitivities it outlined included an increase in average revenue per user (ARPU); take-up rate, product launches and delays; changes in activations for profile for HFC and FttN and capex changes related to network costs and FttN node costs. The most recent 2018-2021 corporate plan confirmed that by the end of this year, 80 per cent of the population will be able to connect to the NBN, with project expected to be finished on time in 2020. But as the connections to the NBN gather pace, so have complaints from end users relating to network speeds and connection times, according to the latest figures from the Telecommunications Industry Ombudsman (TIO). But it’s not just consumers that have been voicing their issues, so have NBN retail service providers (RSPs), where the under-provisioning of bandwidth has become an ongoing cause of friction between NBN Co, resellers and end customers. Morrow and his team have worked to introduce initiatives aimed at easing the underlying issues leading much of the ongoing criticism, such as revamping the wholesale pricing of NBN Co's top tier speed products to encourage greater provisioning and introducing new wholesale contract rules designed to improve the new connection process.